An island daily found an innovative way of dealing with a printing error – by putting the affected edition online for free. 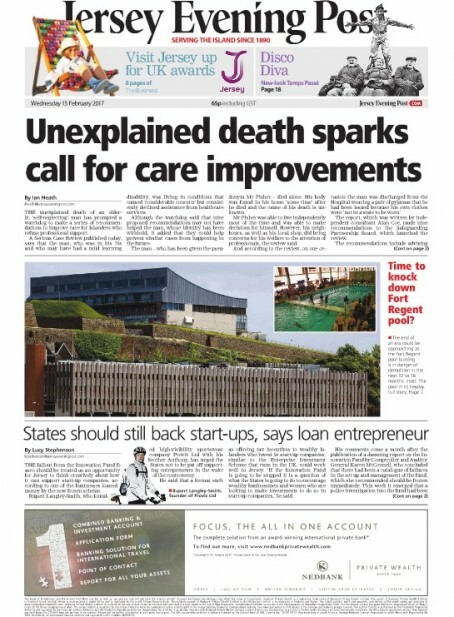 The Jersey Evening Post suffered a technical glitch in the printing of Wednesday’s edition which meant that pages had been printed out of sequence and some appeared more than once in “a few hundred” copies. The copies had been sent to several distributors and couldn’t be retrieved and replaced – so as a goodwill gesture the JEP offered all readers a day’s free access to the newspaper’s e-edition online. The offer was promoted on the JEP’s website and social media channels with an apology for the error. Editor Andy Sibcy told HTFP: “The printing error was frustrating, but it offered an opportunity to give hard-copy readers a taster of our excellent e-edition. “We will follow this impromptu sampling exercise with an in-paper marketing campaign aimed at boosting subscriber numbers for JEP Extra, a great-value package which includes a delivered copy and access to the digital edition. “Inevitably, some readers voiced their annoyance online, but others inquired about how they could subscribe.